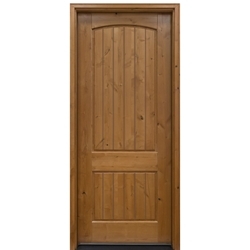 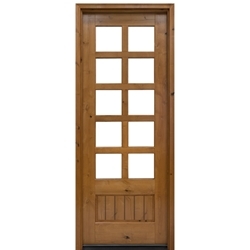 Our Rustic wood entry doors and Mediterranean wood doors are simple and straightforward, while still bringing the unique stylistic character needed to complement your home. 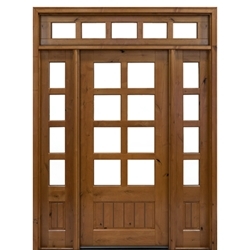 A perfect match for any home designed in the Southwestern or Mediterranean style, these wood doors range from the basic to the decorative. 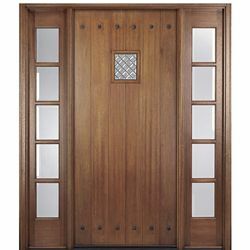 Bold architectural builds make up the majority of the doors in this collection. 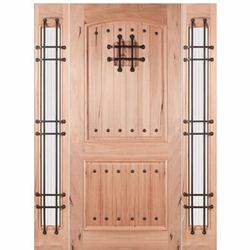 Hinged operable panels, grooved panels, hammered wrought iron accents all add to the overall Spanish or Hacienda feel of their design. 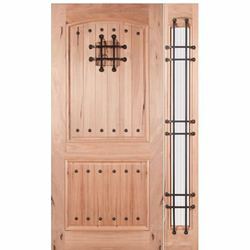 Blended banded grains accented with natural knots and wood streaks highlight the Knotty Alder and Tropical Teak hardwoods seen in this collection. 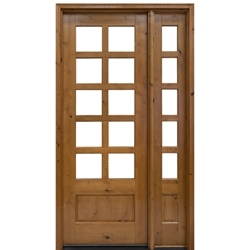 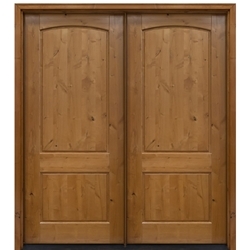 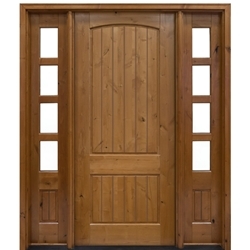 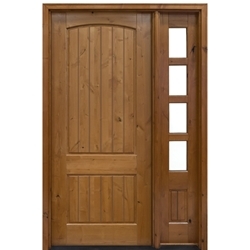 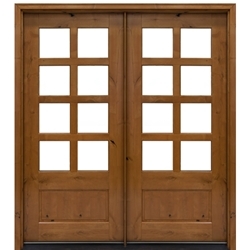 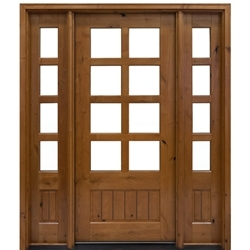 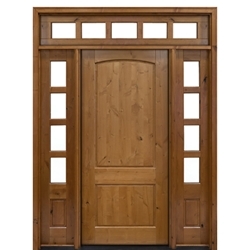 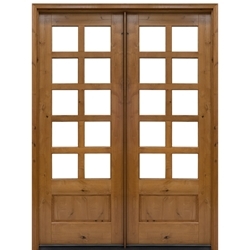 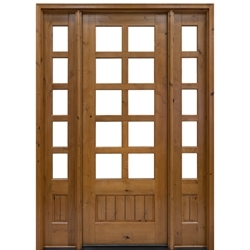 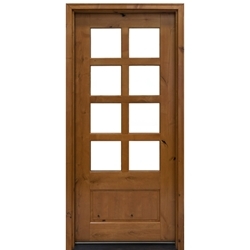 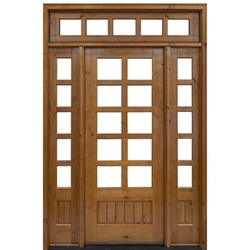 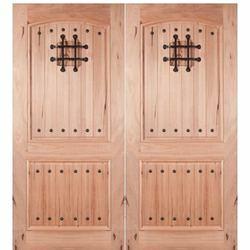 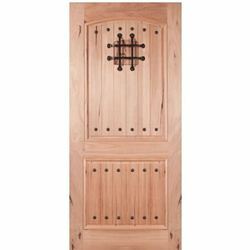 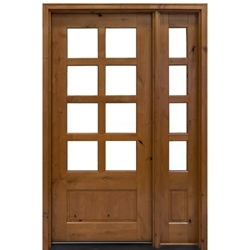 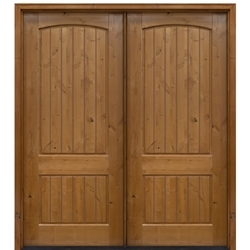 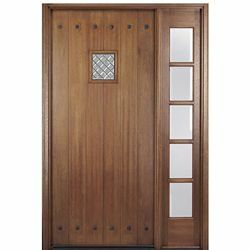 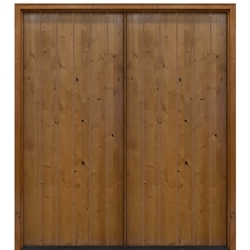 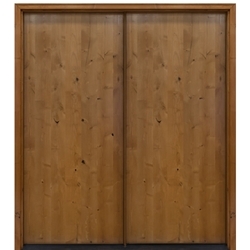 Fine craftsmanship of characterized solid wood mixed with revised classical designs rate this rustic collection of doors high above the rest. 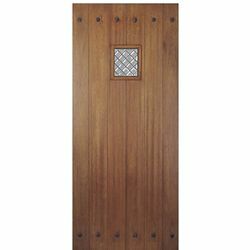 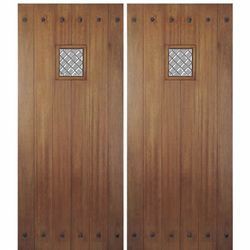 The Mediterranean Style Doors collection features a range of woods, including knotty alder, Andean walnut and rustic hardwood. In addition, you'll find options in a number of shapes and sizes, so you'll have an easier time replacing a door of a specific fit.